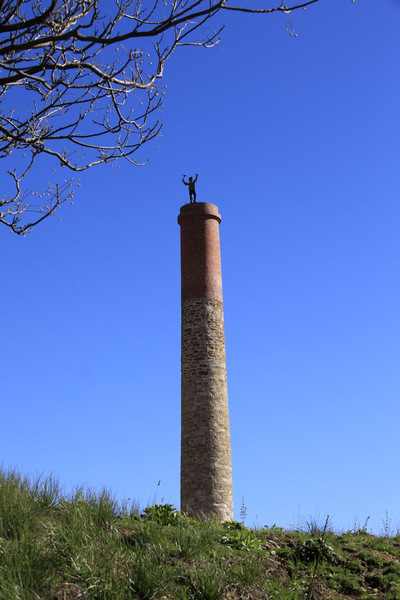 Peacock's Chimney was built in 1857 on a site within the present open cut mine. 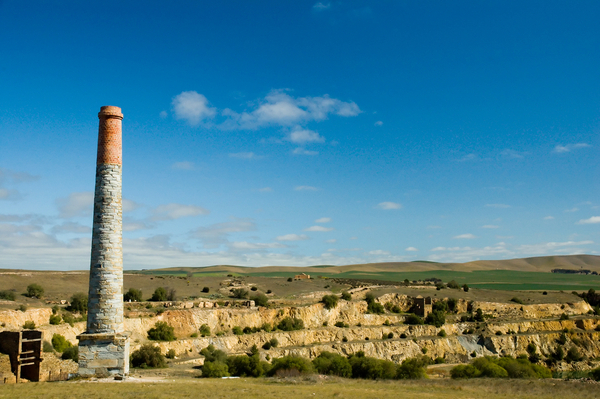 The chimney channeled smoke from the boilers of Morphett's Enginehouse, but was dismantled stone-by-stone and rebuilt on this site in 1971 when mining recommenced in the Monster mine. 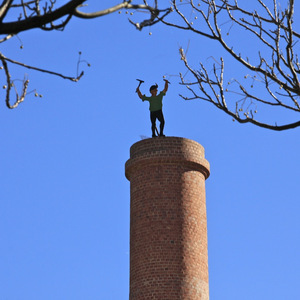 On top of the chimney is Johnny Green, he was the Burra miners mascot. Tap play to listen to Johnny Green describe more about Peacock's chimney and the operations of the Monster Mine.